This website is the copyright of Wendy Snowden 2012. All photos on this site are being used with the creators permission. Views expressed on this site belong to those who expressed them not to the club as a whole. 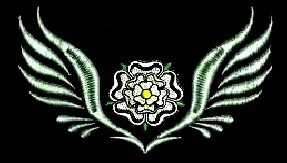 Welcome to the official site of the Yorkshire Region of the GOLDWING OWNERS CLUB GB. 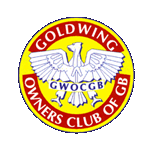 Membership is open to anyone who owns a Goldwing motorcycle. Membership includes affiliation to GWEF (Goldwing European Federation) BMF (British Motorcycle Federation) and MAG (Motorcycle Action Group). If you own or are thinking of buying a Goldwing come along to Squires and meet the friendly group. Many members have belonged to the region for over 20 years and have a wealth of Goldwing knowledge and experience. 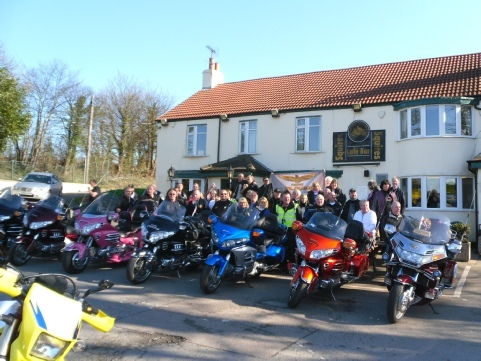 We meet on the second Sunday each month at the famous Squires Biker Cafe, Newthorpe Lane, Newthorpe, South Milford, Leeds, LS25 5LX, meetings start at 10 am prompt. Saturday 13th April 2019, 10 am, Squires Bikers Cafe. Sunday 12th May 2019, 10 am, Squires Bikers Cafe.